It's always a colossal treat when our pal Sgt. 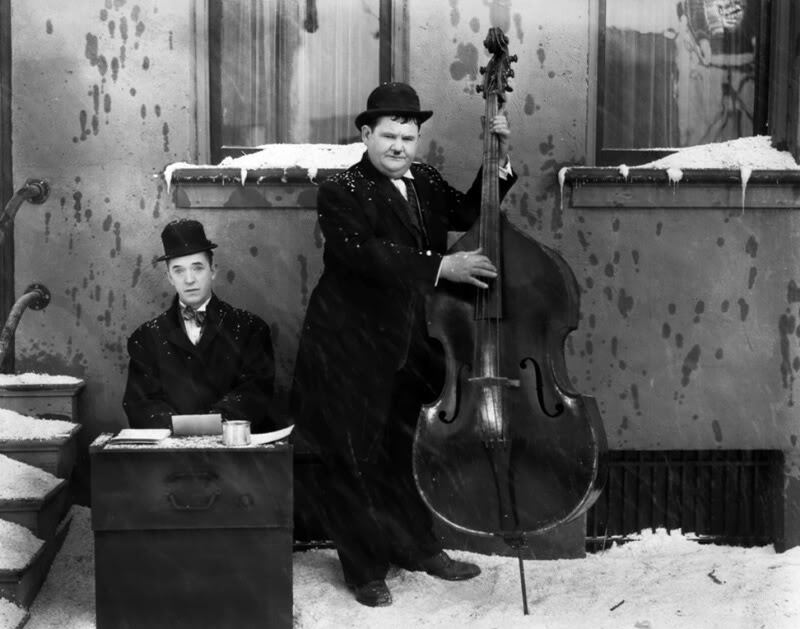 Bill Cassara unveils a new volume of motion picture biography; in the past, he's given us Vernon Dent, Stooge Heavy; Ted Healy, Nobody's Stooge; and Edgar Kennedy, Master of the Slow Burn. His new book is different in two key ways: he's picked up an able collaborator, co-writer Richard S. Greene, and both gentlemen were quite familiar with Mr. Brandon, who lived long enough to meet his fans face to face in many, many "old movie" gatherings. German-born, American-raised Brandon (1912-1990), born Heinrich Kleinbach, was one of those actors who "worked steady" for decades without much fanfare, but the fact that some of our finest directors used him multiple times speaks to his talent, versatility, and professionalism. 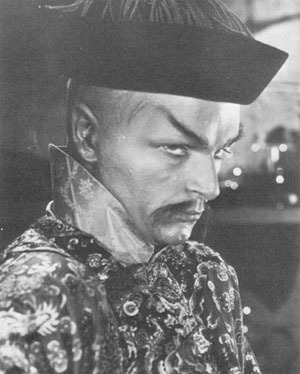 His most beloved roles, as Barnaby, the mean old man looking to evict the Lady in the Shoe in Laurel & Hardy's March of the Wooden Soldiers; the despicable Chinese crime genius in the 15-chapter Republic serial Drums of Fun Manchu; and Scar, the Indian Chief who sets the plot in motion in the John Ford classic The Searchers, are all well-covered in the book, along with all of his other films, large and small, big roles and walk-ons. 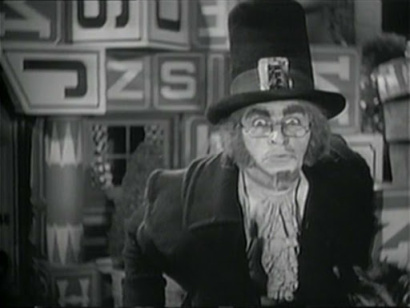 Brandon was in his early 20s when he made a sensation starring on stage in The Drunkard; Hal Roach hired him to play old man Barnaby in his Victor Herbert adaptation of Babes in Toyland and was chagrined to discover that under the old-age makeup was a strapping youth. Regardless, Brandon is unforgettable in the part (which he revised, sort of, a few years later so that he could force li'l Alfalfa to sing opera in the street in Our Gang Follies of 1938). 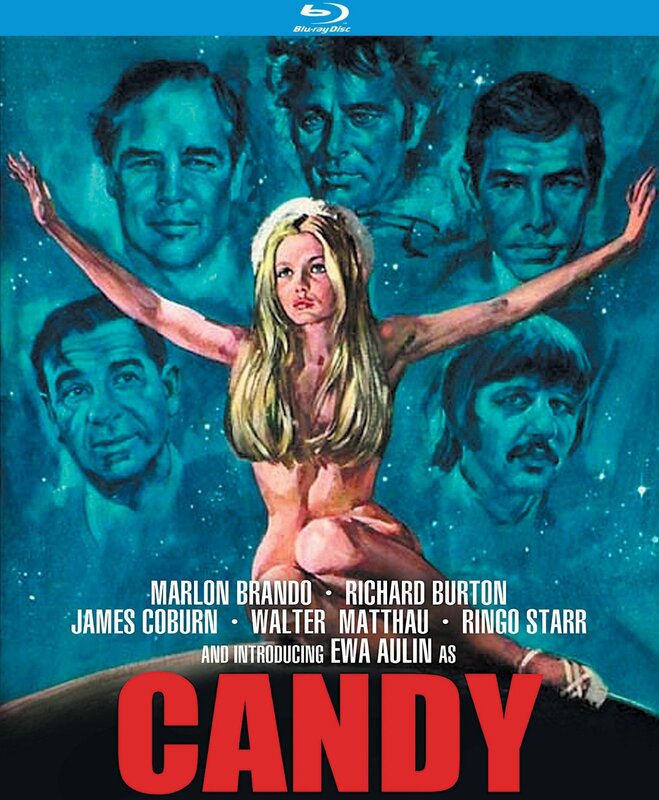 Because Brandon was a life-long free agent, not contracted to any studio, his parts swung from one production to another, and he could pick up a small paycheck with a day or two's work here and then nab a juicy part in a B-movie or a small part but probably a bigger payday for MGM or Columbia. All of this is well covered in the book, which goes into Brandon's major films in detail, including plot synopses, and reveals what is known about his personal life, which surprisingly isn't an awful lot: he seems to have been married at an early age, divorced, and then spent the rest of his life in happy partnership with a male abode-mate). The book is a delightful review of one of our cinema treasures, never a star but always a dependable player, chockful of pictures, stories, and quotes from Henry himself. I literally read the book in one day, it's one that's hard to put down if you love classic films, and notated a lot of films I hadn't seen but now want to. 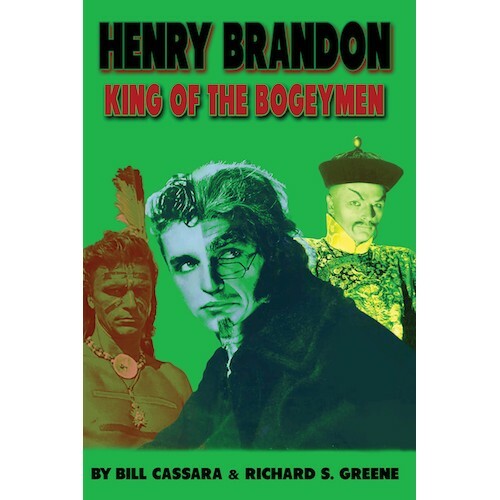 Henry Brandon: King of the Bogeymen is a wonderful read and will leave you with a healthy respect for both its subject and its authors. Bravo!